12ft x 6ft Freestanding Stadium Box Football Goal made from 110mm reinforced aluminium with a box net. Net tension system and bracing bars for tautness. Optional lever or 360° wheels and weights. 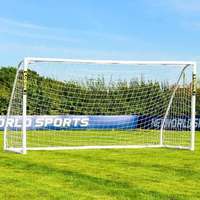 What sets this 12 x 6 stadium box goal apart from regular football goals is its premium quality box goal net. The 5mm braided HDPE twine netting adds a professional touch to the goal, kept taut by a 4-point net tension system and bracing bars at the rear of the goal to ensure that its shape is maintained all match long. Add optional lever type of 360° goal wheels to take the strain out of box goal transportation. The lever type wheels have an innovative CAM mechanism which raises the goal up to an impressive 100mm off the ground, while the 360° goal wheels lift it up to 300mm to provide effortless maneuverability in all directions. 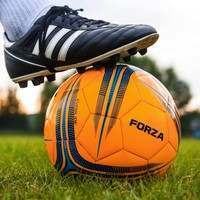 Maintaining stability under the weight of ball collisions is essential, and with the optional internal counterbalance weights your 12 x 6 stadium box goal won't move an inch. The weights have been tailor made to fit within the goals profile, and can be filled with water, sand, stone or metal to keep the freestanding box goal in place. The smallest sized alu110 freestanding stadium box available, this 12 x 6 football goal delivers premium levels of quality to mini-soccer hopefuls who are destined for the top. 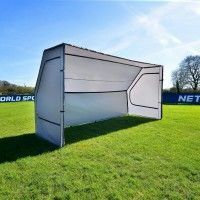 Perfect for coaches who train under 11s as well as clubs who play host to mini-soccer matches, this 12 x 6 stadium box goal brings professionalism to small-sided junior football. 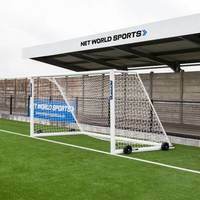 Including a premium quality stadium box football goal net, the top of the range box goal replicates those that are found on Premier League pitches the length and breadth of the country, offering the perfect platform for talented juniors between the ages of 5 – 10 to hone their abilities. 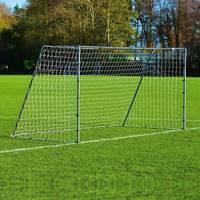 The professional box goal net shape of the 12 x 6 stadium box goal renders it the best football for under 11 sides available. 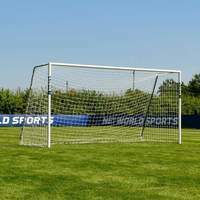 Box goal nets are a prominent sight at professional stadiums, and playing in front of their very own box goal will mimic the feel of a Premier League match for youngsters. 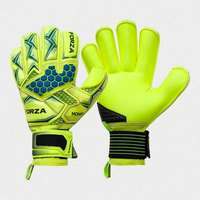 Remaining consistently taut and rigid during use, the sturdy box goal net shape is achieved through the 4-point net tension system and extra back bracing bars, ensuring robustness and high levels of performance. 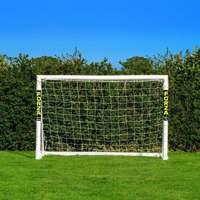 Built with the strength for regular use, this highly durable box goal net won’t ever let you down. 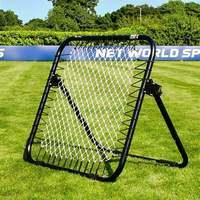 Adding professionalism to matches and training sessions for under 11s and mini-soccer teams, the premium box shape of this stadium goal net is in a league of its own. 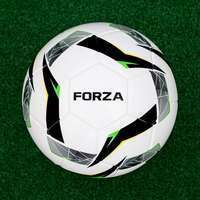 Football takes place during all weather conditions, as is embodied in the 5mm thick rot-resistant HDPE braided netting. 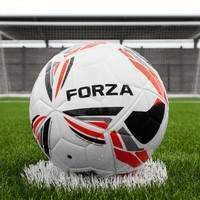 The fiercest storms won’t send the textbook box goal net out of shape, while its premium design eradicates the threat of undesirable sagging down the middle, an avoidable flaw which can often be found in inferior stadium box goals. 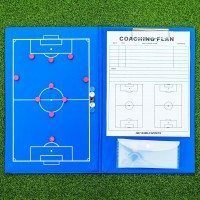 As an entire squad full of mini-soccer hopefuls give their all to make an impression within the game, a durable and reliable football goal is an essential acquisition. 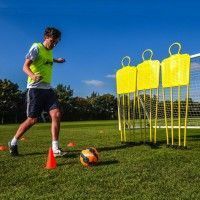 Made from the highest quality reinforced aluminium, this 12 x 6 stadium box football goal has the capacity to take on all comers, resulting in high levels of strength and reliability. Heavy duty yet surprisingly light in weight, this 12 x 6 stadium box goal optimises the under 11 footballing experience. 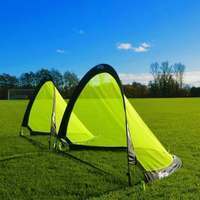 Suitable for matches which are played on all surfaces, the versatile box goal will provide peak performance on 3G, 4G, indoor hard courts and grass pitches alike, with the requisite weather resistance to be left set up outdoors all year round. Manual goal lifting can be a strenuous activity with exerts energy before the match has even kicked off. The optional lever type football goal wheels take the strain of lifting for you, raising the goal up to a staggering 100mm off the ground. The anti-puncture black rubber wheels have been designed for seasons upon seasons worth of use. 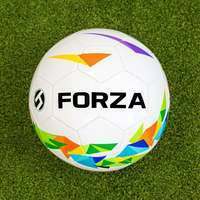 Facilitating quick and easy goal movement of all playing surfaces, the 12 x 6 stadium box football goal becomes portable thanks to the CAM mechanism of these optional goal wheels. 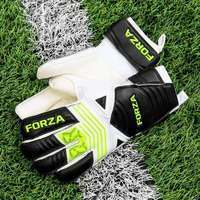 Perfect for clubs who who take part in mini-soccer matches on various venues. Expertly designed to conform to worldwide match regulations, while also passing rigorous independent testing to BS EN safety standards, the premium 12 x 6 box football goal for juniors remains secure and stable throughout even the most intense matches. For enhanced levels of safety, optional internal counterbalance weights can also be added to the goal. 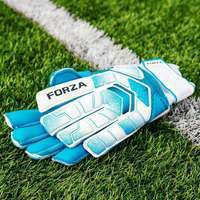 The specially designed weights slot within the goal frame with ease, eliminating unneccesary movement no matter what comes the goals way. Sending performance levels through the roof, the premium football goal weights are a high quality addition to any stadium box goal. 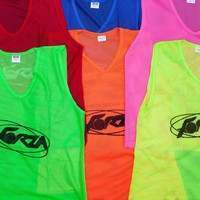 PLEASE NOTE - Custom coloured goal nets are available upon request. Please contact our friendly customer support team for further information.